Deconstruction and Reusable Building Material Appraisals : Property Pros – Deconstruction and Reusable Building Material Appraisal Experts! Salvaging reusable building materials through careful deconstruction can take many forms. We specialize in the appraisal of reusable building materials for charitable donation and whole house salvage (deconstruction projects). With trained resources available in all 50 states, we can easily meet your needs in a timely and efficient manner. The first step in this process is the proper repurposing, reuse, and recycling of existing improvements on a site prior to building a new structure. We work closely with clients throughout this first step, providing the tools necessary to make educated decisions. Property Pro’s has worked since 1995 as licensed and certified appraisers. We have amassed almost 3,000 appraisals of reusable building materials without a single IRS issue – a track record unmatched by our competitors. Thank you for your work on our project. It’s not done yet but wanted to let you know how much we appreciate the quality of work done to this point. The job site is sooo clean. Personal items and work areas sealed off well. Carefulness of deconstruct of items for donation; I noticed even a nice stack of 2x4s ready for reuse! Attention to discoveries behind walls, under flooring, etc. 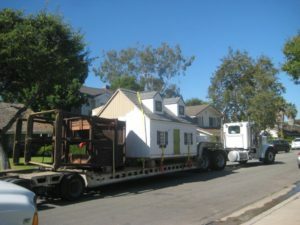 This web site provides more information about the appraisal process, why you should consider charitable donations of reusable building materials, and what kinds of materials can be considered for donation. The more you know, the better decisions you can make.